- Features 3 color-coded, buildable puzzles: a bird, cat and a dog. - Includes bricks decorated as food for each pet as play starters. 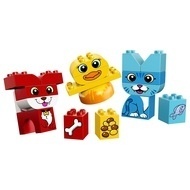 - Help your child master basic building skills with these simple puzzles. - Have fun together as your child learns how to recognize and sort colors, then match the food to each animal. - Inspire imagination with this versatile toy as toddlers make up their own stories with the cute pets. - Makes an ideal gift for preschool children. 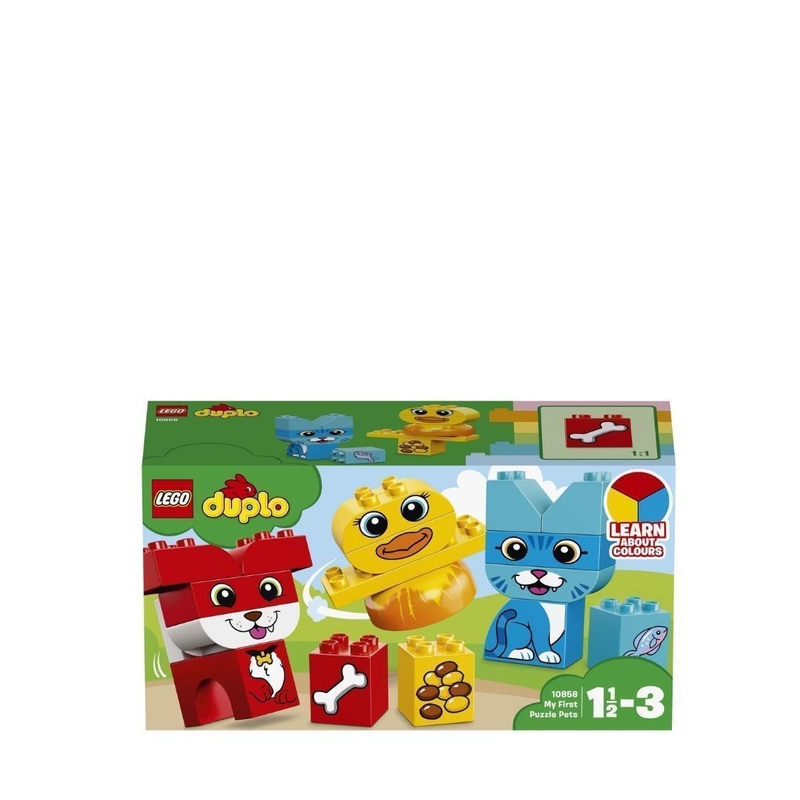 - This set of baby bricks is suitable for ages 1½-3. - Yellow bird measures over 3” (8cm) high, 3” (9cm) wide and 2” (6cm) deep. - Blue cat measures over 4” (11cm) high, 2” (6cm) wide and 1” (3cm) deep. - Red dog measures over 3” (10cm) high, 3” (9cm) wide and 2” (6cm) deep.